Kat Von D has debuted some gorgeous new lipstick shades that have us swooning. Her new line, the Everlasting Glimmer Veil liquid lipsticks, are a serious beauty game changer that we’re seriously loving. See how they work below! As Teen Vogue explains, this formula comes in a liquid tube that you apply with an applicator, just like any other liquid lipstick. And also like other liquid lipsticks, it’ll dry to a matte finish—but with some sparkle that isn't glossy—just metallic. 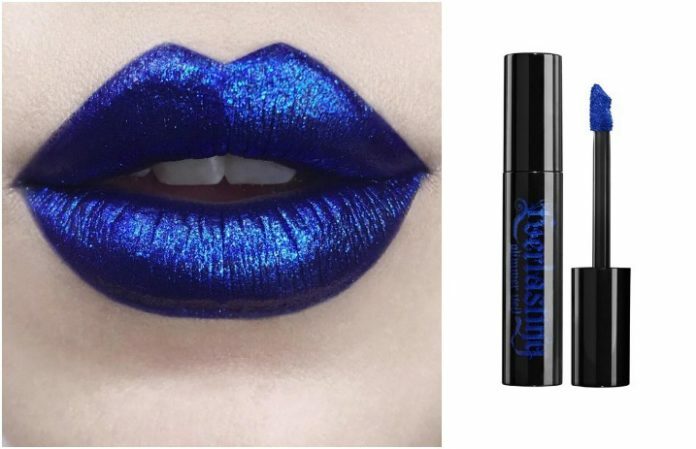 ��TOMORROW!�� We're pre-launching 1 of the 9 new Everlasting #GlimmerVeil lipsticks in REVERB blue exclusively on katvondbeauty.com at 6am PST!Get your hands on this longwear metallic shade before the entire collection launches online on 8/22! But because it’s a liquid lipstick, that means that the glitter will stay on your lips all day long, and we can’t get enough. They’re $22 each, and we can’t wait to get our hands on ‘em. You can pick them up here! What shade do you want to try? Let us know in the comments below!